Woody and Buzz, Mike and Sulley, Russell and Dug--the gang's all here, plus more! 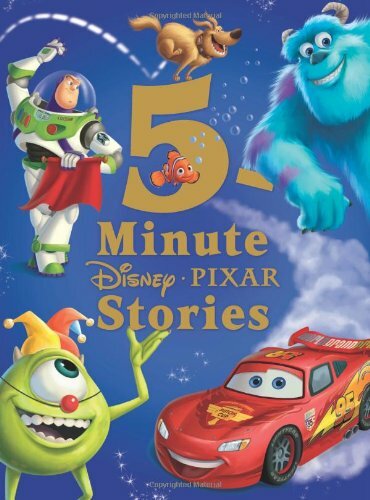 This treasury stars favorite Disney*Pixar characters and features a padded cover, and beautiful full-page and spot illustrations. With twelve adventure-filled stories that can be read aloud in about five minutes, this collection is the perfect choice before bedtime, on the go, or anytime! If you have any questions about this product by Brand: Disney Press, contact us by completing and submitting the form below. If you are looking for a specif part number, please include it with your message.